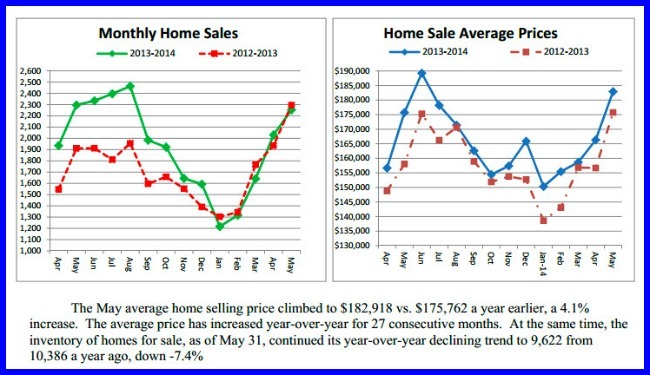 According to the Cincinnati Area Board of Realtors latest report the number of 2014 home sales in the Cincinnati area are very close to 2013 but average sale prices continue to move upward in most areas. If the information below is not detailed enough or if you are considering buying or selling your condo- call for detailed market analysis. Or make it easy and just Subscribe. Cincinnati single family home sales continued to follow trend with sales volume in Clermont,Hamilton and Warren Counties slightly higher than 2103. 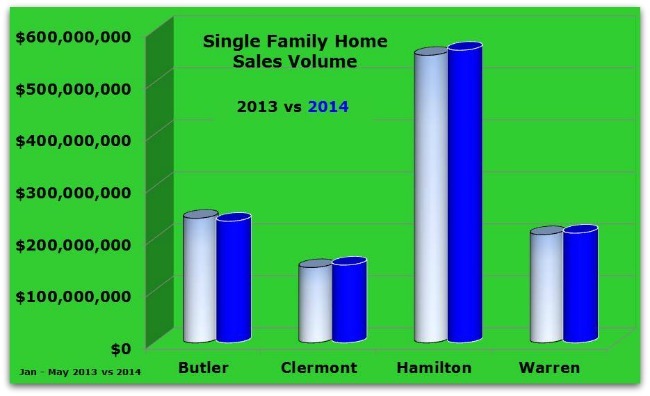 Unfortunately for some sellers, Butler County is lagging slightly behind last year’s sales volume. According to data pulled from the CincyMLS. The quarter ended well with all the counties experiencing average sale prices in 2014 exceeded 2013 – a good sign that while the overall sales volume may be lower average sale prices continue to increase. The number of short sale properties hitting the market continues to shrink- causing more problems with the shortage in the number of homes and condos for sale. The latest S&P Case/Shiller report reflects a significant drop in sale prices from the previous report. The report is a great indicator of the national trends in real estate. It will be interesting to see what’s happening in markets near us-since Cincinnati is not on the list of 20 closely analyzed cities. Real estate is local and while some parts of the country are experiencing a real estate boom, we’re marching along at our own pace. And that’s a good thing because we don’t want skyrocketing prices today to be followed by a roller coaster of ups and downs in real estate values. Want to list your property or start house hunting now– Call: 513-300-4090.